Manchester United fans headed into the summer expected a busy transfer window and so far we have brought three new faces to Old Trafford. 19-year-old full-back Diogo Dalot arrived from FC Porto before Fred arrived from Shakhtar Donetsk earlier this month. Experienced goalkeeper Lee Grant was brought in from Stoke City following the departure of Sam Johnstone to West Bromwich Albion and Dean Henderson loaned to Sheffield United. We continue to be linked with a number of players, mainly in the centre-back, left-back and right wing roles. The centre-back position is an obvious one as Jose Mourinho has never been keen on either Phil Jones nor Chris Smalling, whilst Victor Lindelof failed to impress in his debut season following his arrival last season. With Ashley Young turning 33 earlier this month and being a winger by natural it is obvious that we’d be in the market for a new left-back this summer. Daley Blind has already been moved on and Matteo Darmian is expected to join Juventus, so don’t be surprised if we upgrade here too. The boss was also unsettled on a right winger in his 4-3-3 formation last season with Juan Mata, Jesse Lingard and Marcus Rashford just three of the names that were used out there. This is the one area of our attack that Jose may want to take a closer look at. 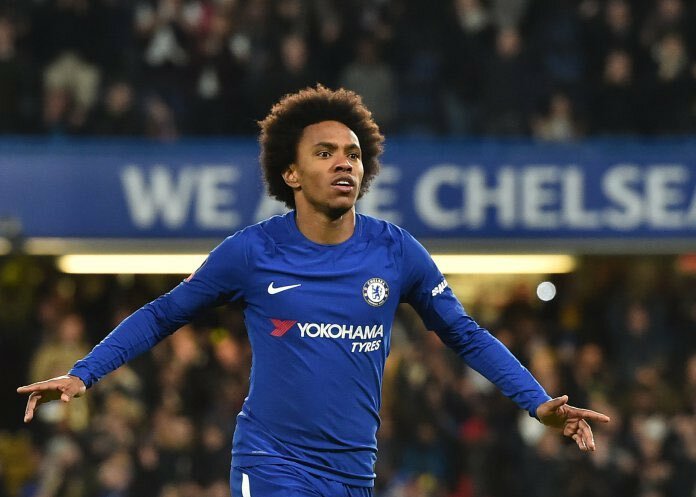 BBC Radio Manchester‘s Bill Rice is also in agreement with a couple of those positions as he believe we’ll be looking to sign Tottenham Hotspur centre-back Toby Alderweireld and Chelsea right winger Willian. “The arrival of Brazilian midfielder Fred gives United added steel and grit in midfield, and should allow Paul Pogba to flourish further upfield on his return from a successful World Cup, while teenage full-back Diogo Dalot’s arrival led to Daley Blind’s departure after just four Premier League starts last season. “A commanding central defender and another hardworking wide player are the areas manager Jose Mourinho will look to strengthen, with Tottenham’s Toby Alderweireld and Chelsea’s Willian among the names in the frame. We shall have to wait and see who we end up with between now and the start of the 2018-19 Premier League season which kicks off on Friday 10 August when we entertain Leicester City at Old Trafford. We can certain that at least one more new face will join us between now and then, if not a couple.